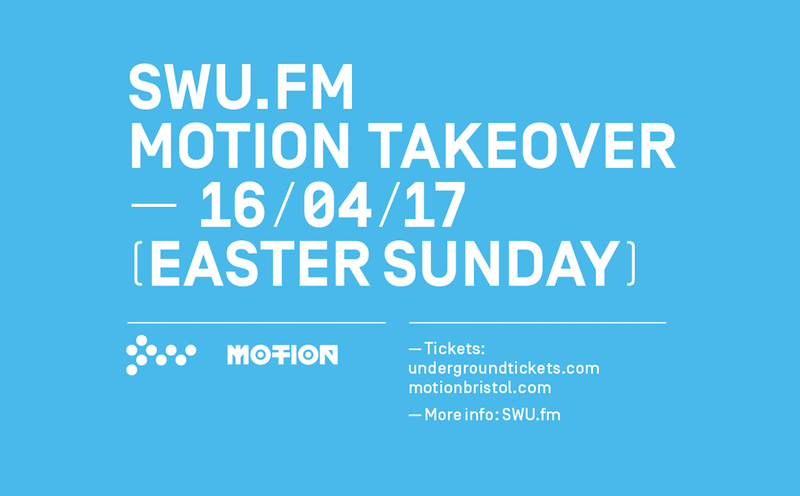 This Easter SWU.FM will be celebrating Bristol music culture with a 5 room double warehouse takeover at Motion Skatepark representing the full spectrum of the city’s underground music talent. 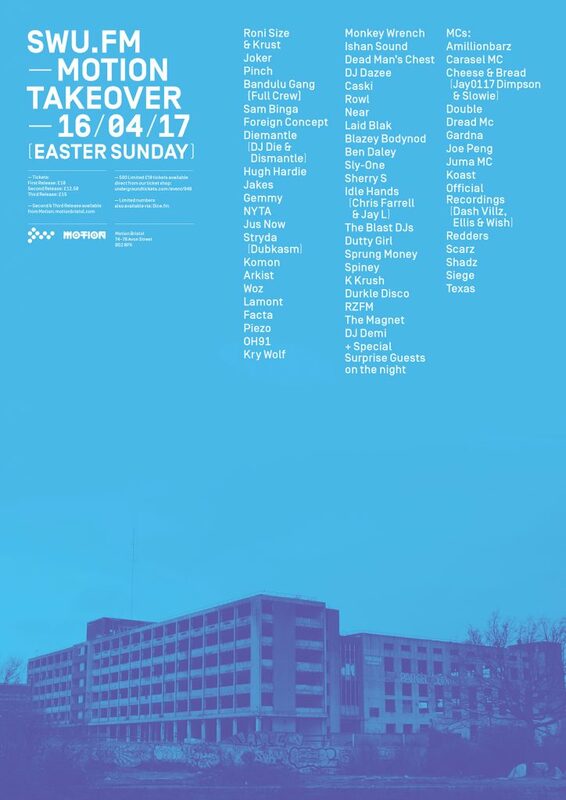 All proceeds from this event will go towards the relocation of our studio, and the station’s re-launch later this year. In January 2017 we were forced to move from our previous location due to the sale of the building and it’s impending redevelopment into flats.